A host of reforms have made it easier for entities to start, operate and exit businesses in India. Some of the initiatives, including 'Make in India', improving the ease of doing business in India, 'Start up India' and 'Digital India', will further pave the way for growth. Over the past few years, the government has delivered landmark structural reforms (including the Insolvency and Bankruptcy Code, Indian Accounting Standards, and the Goods and Service Tax), which are expected to foster the next phase of economic growth of India. A testament to this is India having jumped 30 spots to secure a place among the top 100 countries on the World Bank's 'ease of doing business' ranking list of 2018. There are several types of business vehicles that operate in India. Broadly, these include sole proprietorships, partnership firms or limited liability partnerships (LLPs), private limited companies and public limited companies. However, the options available to a non-resident intending to set up a business in India are more specific. One of the more preferred business vehicles in India is a private company limited by shares, which is incorporated under the Companies Act 2013 (the Companies Act). A non-resident may contribute to the capital of a general partnership firm, or a proprietorship concern in India, only with the prior approval of Reserve Bank of India (RBI). Foreign investment in LLPs is permitted under the automatic route in sectors that are open to 100 per cent FDI under the automatic route. Unlike partnership firms, LLPs are body corporates and have a legal existence that is separate from their partners. An LLP can be incorporated with a minimum of two partners, and unlike partnerships, there is no restriction on the maximum number of partners. The liability of partners in LLPs is limited to the provision of their capital contribution and any other contribution as agreed in the partnership agreement. As a result, a significant benefit that an LLP has over the partnership structure is that a partner of an LLP is not personally liable for an obligation of the LLP or the wrongful act or omission of other partners of the LLP. Under the IT Act, neither Indian general partnerships nor LLPs are accorded a tax pass-through status, and both qualify as a separate taxpayer category. Taxable income from business is required to be computed in accordance with either the cash or mercantile system of accounting regularly employed by the taxpayer. Taxable profits are based on accounting profits but are adjusted for specific allowances and disallowances. All revenue expenditure expended 'wholly and exclusively' for the purposes of the taxpayer's business is generally allowed as a deductible expense. Further, while computing its taxable income, a taxpayer is entitled to claim certain deductions and industry-specific tax concessions, subject to the fulfilment of specific conditions. Adjustments on account of depreciation are available to all categories of taxpayers on an annual basis, where depreciation is to be reduced from the written down value of each 'block of assets', namely buildings, furniture and fittings, machinery and plant, intangible assets, etc. It is important to note that depreciation for the purposes of the IT Act is different from depreciation as computed under accounting principles. Residents are subject to income tax on their worldwide income, whereas non-residents are subject to tax in India only on income that is sourced in India, namely income that: (1) is received or is deemed to be received in India; or (2) accrues or arises or is deemed to accrue or arise in India. The IT Act is schedular in nature and provides for different heads of taxable income. The general rule under Indian domestic law is that all revenue receipts are taxable unless a receipt is specifically exempt and all capital receipts are exempt from taxation unless there is a specific provision to tax it. While calculating taxable business income, only revenue receipts after deducting revenue expenses are considered. The IT Act provides a separate head of 'income from capital gains' for levying tax on certain capital receipts. Income from such capital gains is usually taxed at special rates, depending on the nature of the capital asset, and the period of holding. The IT Act also provides a residual category of income, namely 'income from other sources', which also taxes certain capital receipts as ordinary income of the taxpayer. Taxpayers that use the mercantile system of accounting are required to follow the Income Computation and Disclosure Standards for computation of income chargeable under the headings 'profits and gains of business or profession' and 'income from other sources'. The IT Act provides for intra-head and inter-head adjustment of losses. If in any year, a taxpayer incurs a loss from any source under a particular head of income, then such taxpayer is allowed to adjust such loss against income from any other source falling under the same head (intra-head adjustments). Only after such intra-head adjustments are made can a taxpayer adjust losses from one head against income from another head (inter-head adjustments). However, there are certain rules for such adjustments. For instance, losses from speculative business can only be set off against income from speculative business, although non-speculative business losses can be set off against income from speculative business; long-term capital losses cannot be set off against any income other than income from long-term capital gains, although short-term capital losses can be set off against short or long-term capital gains, etc. Losses are usually permitted to be carried forward for a period of eight years immediately succeeding the year in which such loss is incurred. A taxpayer that operates as a private limited company is not permitted to carry forward any tax losses of the years prior to the relevant financial year, unless shareholders beneficially holding 51 per cent of the voting power as on the last day of the year in which the loss was incurred, and the year in which the loss is desired to be set off, remain the same. However, such losses are allowed to be carried forward in case of certain eligible start-ups and companies under insolvency proceedings. Rates as prescribed under the IT Act and as mentioned hereinafter are required to be increased by applicable surcharge and education cess (unless otherwise stated). Surcharge is payable as a percentage of the income-tax payable. For domestic companies, the rate of surcharge is 7 per cent (if income > 10 million rupees but ≤ 100 million rupees), and 12 per cent (if income > 100 million rupees). For foreign companies, the rate of surcharge is 2 per cent (if income > 10 million rupees but ≤ 100 million rupees), and 5 per cent (if income of > 100 million rupees). For general partnerships and LLPs, the rate of surcharge is 12 per cent (if income > 10 million rupees), and nil (if income ≤ 10 million rupees). Further, a health and education cess of 4 per cent is also payable on the aggregate of income tax and surcharge. Domestic companies are liable to tax on their business income at the rate of 30 per cent. Certain domestic companies can choose to avail of a concessional tax rate of 25 per cent, subject to certain conditions. Non-resident companies having a permanent establishment in India are subject to tax on their business income at the rate of 40 per cent. Domestic companies declaring, distributing, or paying dividends are required to pay an additional dividend distribution tax (DDT) at an effective rate of 20.56 per cent (including applicable surcharge and education cess of 4 per cent) on the dividends distributed. Such dividends are tax-exempt in the hands of all non-resident shareholders and resident corporate shareholders. However, a holding company does not have to pay DDT on dividends paid to its shareholders to the extent that it has received dividends from its Indian and foreign subsidiary company on which DDT has been paid by the subsidiary, subject to fulfilment of conditions. If the income-tax payable by a domestic company is less than 18.5 per cent of its adjusted book-profits, then such company would be required to pay a minimum amount of tax, known as minimum alternate tax (MAT) at the rate of 18.5 per cent. MAT credit can be utilised over a period of 15 years. General partnerships and LLPs are taxed at the rate of 30 per cent. No additional tax is required to be paid by a partnership firm or an LLP at the time of distribution to the partners. Shares of profits received by partners of a general partnership or an LLP are tax-exempt in their hands. An LLP is not subject to MAT. It is subject to an alternate minimum tax (AMT) at the rate of 18.5 per cent, when income tax on its total income is less than 18.5 per cent on its adjusted total income. However, this is applicable only if the LLP claims specified tax holidays or deductions under the IT Act. Unlike some other nations, income tax in India is a central (federal) levy, and not a state-specific levy. The Ministry of Finance governs and administers the IT Act through the Central Board of Indirect Taxes and Customs, which from time to time issues notifications, circulars and instructions, etc., to clarify or interpret the provisions of the IT Act. In addition to this, every year, the Finance Minister of India proposes amendments to the IT Act and revises the applicable rates of taxation annually through the Finance Bill for that year. Once the Indian Parliament approves the proposed amendments, the Finance Bill is enacted and the relevant changes or amendments get incorporated into the law. The Indian tax year runs from 1 April to 31 March. Certain taxpayers having business income are required to get their account books audited for tax purposes. All companies are required to electronically file income tax returns on or before 30 September of the year following the tax year. In the event transfer pricing provisions are applicable, the due date for filing tax returns is extended to 30 November. Further, quarterly returns have to be filed for withholding taxes in the prescribed form and manner. On filing of tax returns, details furnished by the taxpayer are assessed by the tax authorities, and accordingly, an 'assessment order' is passed by the 'assessing officer' after giving an opportunity of being heard to the taxpayer. A detailed appeal process is provided in the IT Act, which allows taxpayers to challenge an order passed by the tax authorities. The Supreme Court of India (i.e., the apex court of India), and the various High Courts provide a ruling on the law and do not engage in a fact-finding exercise. Further, an advance ruling may be obtained from the Authority for Advance Rulings (AAR) on any question of law or fact in respect of a transaction undertaken or proposed to be undertaken by a non-resident or with a non-resident. Such a ruling obtained from the AAR is then binding on the revenue authority and the applicant in respect of the concerned transaction. India does not recognise group taxation, and each company in a group (or otherwise) is taxed as a separate company. The goods and services tax (GST) legislation has been enacted by the Indian government with effect from 1 July 2017. GST overhauls much of the indirect taxation framework in India, and has subsumed most of the erstwhile indirect taxes such as sales tax or VAT, service tax, excise duty, entertainment tax (unless levied by local bodies), entry tax, additional customs duty (countervailing duty), special additional duty of customs, surcharges and cesses. Basic customs duty on import of goods into India remains outside the GST ambit. Further, certain tobacco, petroleum and alcohol products remain outside GST, and will continue to be taxed as per the earlier system. As opposed to the multiple taxable events under the erstwhile indirect tax regime, such as manufacture, sale, provision of service, etc., the GST law imposes tax on a single taxable event, 'supply' which covers all kinds of transactions such as sale, transfer, barter, lease, provision of service, etc., unless specifically exempted. Both the centre and the states simultaneously levy GST across the value chain. While problems of immediate migration costs are posed by it, the overall economy is expected to benefit from a more seamless movement of goods and service, and a less burdensome indirect tax credit and compliance regime. GST allows for seamless credit flow throughout the value chain with fewer restrictions to mitigate the cascading effect of taxes. Separately, all legal documents are required to be stamped in India, and documents that have the effect of transferring immovable property are mandatorily required to be registered. Documents that have not been duly stamped cannot be introduced as evidence in any court. Stamp duty rates differ from state to state across the country, as stamp duty is a state subject. However, central government fixes the stamp duty rates for certain instruments. A company is said to be resident in India in a financial year, if (1) it is an Indian company (i.e., incorporated in India), or (2) its place of effective management (POEM) is in India. The phrase 'place of effective management' has been explained to mean 'a place where key management and commercial decisions that are necessary for the conduct of business of an entity as a whole are, in substance made'.2 With effect from 1 April 2018 the concept of 'significant economic presence' (as defined) has been introduced into the definition of 'business connection'. Also, transactions or activities (yet to be prescribed) undertaken by the non-resident shall constitute 'significant economic presence' in India, irrespective of whether the non-resident has a residence or place of business in India or renders services in India. The CBDT has issued guidelines for the determination of POEM of a company. POEM is, however, not applicable to companies having turnover or gross receipts of 500 million rupees or less in a financial year. If a foreign company's POEM is considered to be in India, its global income shall be chargeable to tax in India at the rate of 40 per cent. identify the place where these decisions are in fact being made. A non-resident entity may set up branch, liaison or project offices in India. While a liaison office acts as a representative office of its parent company in India, a branch office is an establishment of the parent entity and can carry out the same or substantially the same activities as its parent company. A project office is permitted for specific projects to be undertaken in India, by the person resident outside India. Although these vehicles may be used by a non-resident, their use is not particularly popular given that the activities that such offices may undertake are heavily regulated and restricted by the RBI. A branch of a foreign company is taxed as a foreign company in India at the rate of 40 per cent. Activities carried out by foreign companies should be carefully examined to determine the existence of a permanent establishment (PE) of the foreign company in India. In the case of a PE, income of the foreign company that is attributable to the activities of the PE in India will be subject to tax at the rate of rate of 40 per cent. Typically, the kinds of PEs common to India's tax treaties are fixed place PE, service PE and dependent agent PE. For the purpose of attribution of profits, the Indian PE is considered as a fictional entity separate from the foreign enterprise dealing with the latter on an arm's-length basis. No specific rules for attribution of profits are provided under Indian laws, and such attribution is a complex determination. Further, in keeping with Action Plan 1 on tax challenges of the digital economy, India introduced an equalisation levy of 6 per cent in respect of certain specified digital services in the online marketing and advertising space rendered by non-residents who do not have a PE in India. However, such income shall not be taxable in the hands of the recipient. India does not have any participation exemption or qualifying dividend regime. By way of the Finance Act 2016, the government put in place a concessional taxation regime for income from patents. Following Action Plan 5 of the OECD's BEPS Project, the government has adopted the nexus approach, which prescribes that income arising from the exploitation of IP should be attributed and taxed in the jurisdiction where substantial R&D activities are undertaken, rather than the jurisdiction of legal ownership only. Accordingly, the IT Act was amended to provide that, where the total income of an 'eligible taxpayer' includes any income by way of royalty in respect of a patent developed and registered in India, then such royalty shall be taxable at the rate of 10 per cent on the gross amount of royalty. As a welfare economy, the Indian government offers subsidies in various sectors, such as agriculture, small and medium enterprise industry, railways, and infrastructure. Separately, under the Special Economic Zones Act 2005, the government has identified certain zones in the country, where through favourable economic policies, business incentives and tax breaks, a conducive environment has been sought to be created for export-oriented businesses. In addition to the deductions otherwise available, the IT Act also provides for profit-linked deductions to certain taxpayers, such as units established for export in special economic zones. India does not have a parent–subsidiary or participation exemption regime. However, capital gains arising from the transfer of certain instruments may be subject to a reduced rate of withholding in terms of India's domestic law. For instance, long-term capital gains arising on transfer of listed equity shares (including units of an equity-oriented fund) executed on a recognised stock exchange in India, where securities transaction tax (STT)4 has been paid, is exempt from tax in India subject to certain conditions. Section 90(2) of the IT Act provides that where India has entered into a double taxation avoidance agreement with any country, the provisions of the IT Act or the double taxation avoidance agreement, whichever are more beneficial to the taxpayer, shall apply. Accordingly, the withholding tax rates under India's domestic law are subject to the provisions of the applicable tax treaty. Foreign dividends received by an Indian resident are taxed as ordinary income, namely at the rate of 30 per cent in the case of an Indian company, and at the applicable slab rate in the case of an individual. However, credit for foreign taxes paid (on dividends or otherwise) should be available to the Indian resident. Foreign dividends may be subject to a reduced rate of 15 per cent in the hands of an Indian company, if the Indian company holds 26 per cent of shares in the foreign company. However, DDT, being an additional corporate tax on the Indian distributing company, is generally not affected by tax treaties. As a result, the availability of credit for DDT in the home country of the non-resident shareholder is doubtful. 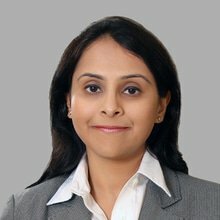 Following the BEPS Action Plan 4, the Finance Act 2017 introduced limited thin capitalisation norms in India's extant transfer pricing regime, according to which, the Indian 'associated enterprise' would not be permitted a deduction of interest (payable to its non-resident 'associated enterprise') exceeding 30 per cent of the earnings, before interest, taxes, depreciation and amortisation, if the total amount of such interest exceeds 10 million rupees per year. If the interest is not eligible for deduction in a particular year, the same can be carried forward for eight years, and the same shall be allowed to the extent of maximum allowable interest expenditure for the relevant year. Interest payments by an Indian company to a non-resident shall be eligible to be deducted as an expense by the Indian company, if the loan is for its business purpose. However, if the Indian company and the non-resident are regarded as 'associated enterprise' in terms of the (Indian) transfer pricing regulations, such interest payments shall be subject to the arms'-length requirement, and also thin capitalisation norms as set out above. In terms of the Companies Act, dividends can be declared by a company out of profits of the current financial year or any previous year, only after providing for depreciation in accordance with the provisions of the said Act. In the case of inadequacy of profits in any financial year, a company may declare dividends out of the accumulated profits earned by it in previous years, and transferred to the reserves in accordance with the prescribed rules. However, such dividends can only be declared from the free reserves of the company. A company may undertake a scheme of buy-back to purchase its own shares from its free reserves, securities premium account, or the proceeds of the issue of any shares. For a company to be able to undertake a buy-back, the same should be authorised by its charter documents. Further, generally, buy-back requires shareholder approval by way of a special resolution. There are certain other restrictions on a company undertaking a scheme of buy-back, including, inter alia, that a company cannot issue fresh shares (of the same kind as those bought back) for a period of six months since the date of buy-back, there has to be a cooling off period of at least one year between two consecutive buy-backs, and only fully paid-up shares can be bought back. Buy-back of unlisted shares is subject to tax at the rate of 20 per cent in the hands of the company on the amount of buy-back price that is in excess of the amount received by it for the issue of such shares. There are specific rules prescribed to determine the amount received for the purpose of computing this tax. Once such tax is paid by the company, no further tax shall be payable on such amount by the shareholders. Buy-back of listed shares result in capital gains tax for the shareholders. In capital reduction, to the extent of accumulated profits, the company is required to pay DDT on the amount returned to the shareholder. Although the rate of buy-back tax is slightly higher than the rate of DDT, in case of a buy-back, the company is allowed to reduce the amount that it had received at the time of share issuance from the buy-back consideration to arrive at the buy-back tax. This is not permitted in case of DDT, as DDT is payable on the gross amount of dividend. Acquisitions may be structured at: (1) the entity level, by acquisition of shares in a fresh issue or share buyout or merger/amalgamation; or (2) the business level, by acquisition of the entire business (referred to as slump sale in the Indian context), cherry-picking certain assets or demerger. A foreign investor looking to acquire certain Indian assets or businesses would need to have an Indian entity that acquires the business or assets. The preferred mode of acquisition would depend on various considerations, such as the commercial objective sought to be achieved, tax efficiency, ability of the target to carry forward past tax losses, regulatory aspects, etc. Other structuring considerations include the choice of intermediate holding jurisdiction to acquire or set up the Indian target, and choice of instrument for investing into the Indian target. 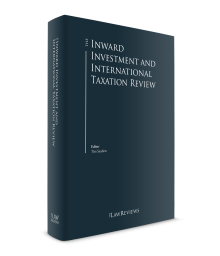 Further, with 'substance'-driven taxation and evolving tax laws aimed at protecting the source country's tax base, aspects such as valuations and transaction documentation assume significance and tend to become major negotiation points. Recently, India's tax treaties with Mauritius and Singapore have been revised, in terms of which, capital gains arising to tax residents of such jurisdictions from the sale of shares of Indian companies acquired on or after 1 April 2017 shall be taxable in India. The amendments do not impact the beneficial capital gains tax treatment in relation to investment in instruments other than shares (regardless of the time of investment), and in relation to shares acquired prior to 1 April 2017 (regardless of when the exit occurs). The choice of instrument for investment, that is, shares (equity or preference shares) or debt, would primarily depend on the commercial objectives, regulatory considerations and rights sought to be acquired by the investor, and would entail different tax implications for the investor as well as the investee. Further, it is important to ensure that appropriate valuations are undertaken at the time of the investment, failure of which can lead to adverse tax consequences for both the seller as well as the acquirer. It is worth noting that the IT Act has prescribed certain minimum fair market value norms, which are applicable at the time of transfer of unquoted shares, and acquisition or subscription of shares and securities. According to these provisions, transfer of unquoted shares, or receipt of shares or securities, at a price that is less than the fair market value (to be computed in line with the prescribed guidelines) could attract adverse implications in the hands of the transferor and recipient. Note that similar fair market value requirements are also applicable in the case of a transfer of property. Where Indian assets are indirectly acquired at an offshore level through the acquisition of shares in a foreign entity, an Indian tax charge will be triggered if the foreign target derives 'substantial value' (as defined) from India. Thus, prescribed valuations should be carried out to assess the Indian tax impact in such a case. Amalgamations and demergers are tax-neutral in India, provided certain specified conditions are satisfied. The Indian government in April 2017 enacted certain provisions of the Companies Act that permit cross border mergers. However, there has been no corresponding amendment to the IT Act. Accordingly, only inbound mergers are tax-neutral, subject to conditions. The sale of equity and debt instruments, specific assets or the entire business on a going-concern basis by a non-resident investor will entail capital gains tax in India that could vary from nil to 40 per cent (depending on the nature of the instrument and the period of holding), subject to relief under the applicable tax treaty. The General Anti-Avoidance Rules (GAAR) included in the IT Act came into effect on 1 April 2017. GAAR may be invoked, where the main purpose of an arrangement is to obtain a tax benefit. GAAR provisions empower the tax authorities to investigate any such arrangement as an 'impermissible avoidance arrangement', and consequently disregard entities in a structure, reallocate income and expenditure between parties to the arrangement, alter the tax residence of such entities and the legal situs of assets involved, treat debt as equity and vice versa, and the like. By doing so, the tax authorities may even deny tax benefits conferred under a tax treaty. Accordingly, it must be ensured that there is justifiable commercial substance in the structure in order to avail of any beneficial taxation under the IT Act or a tax treaty. India does not have any rules for CFCs. Transfer pricing regulations5 are applicable to 'international transactions' carried on between two or more 'associated enterprises' (AEs), where either both or at least one party to the transaction is a non-resident. The term 'AE' has been defined in the IT Act to include, inter alia, any enterprise that participates, directly or indirectly, or through one or more intermediaries, in the management or control or capital of another enterprise.6 The transfer pricing regulations provide that any income arising from such an international transaction would be computed having regard to the principle of an arm's-length price (ALP). The transfer pricing regulations also prescribe the methods that a taxpayer can adopt to arrive at an ALP, and the documentation that is required to be maintained by the taxpayer to demonstrate that the ALP adopted by it is in accordance with the transfer pricing regulations. The transfer pricing regulations also provide for 'secondary adjustments', which essentially mean that an AE (being a non-local entity) will have to make a secondary adjustment in its books as a consequence of a primary adjustment to the taxpayer in India. Safe harbour rules that prescribe conditions and circumstances under which the transfer price adopted by parties to a transaction would be immune from questioning by the Indian tax authorities have been prescribed. The government has introduced an advance pricing agreement scheme and transfer pricing documentation requirements that are in line with the standards outlined in BEPS Action Plan 13. Taxpayers are required to maintain a master file, local file and country-by-country report. The CBDT has notified the final rules for maintaining and furnishing of transfer pricing documents in the master file and country-by-country report. As set out earlier, an applicant may approach the AAR for an advance ruling for transactions with a non-resident. Further, if during pendency of any tax proceedings, a taxpayer transfers certain specified assets (such as land, building, plant, machinery, shares, securities, etc. ), then the tax authorities are empowered to treat such transfer of assets as void against taxes for recovery of any tax claims arising pursuant to conclusion of such proceedings. However, such transfer will not be treated as void, if: (1) a no objection certificate had been obtained by the seller from the tax authorities prior to such transaction; or (2) the transfer is done for adequate consideration and without notice of the pendency of any proceedings or tax payable by the transferor. Therefore, such a tax clearance is important as it protects the buyer with respect to outstanding tax demands of the seller, or tax proceedings which are pending at the time of transfer of assets. Over the past couple of years, the government has re-negotiated tax treaties with countries such as Singapore, Cyprus and Mauritius to ensure that the right to tax capital gains comes to country of source (i.e., India and not to the country of residence, i.e., Singapore or Mauritius). The government had also simultaneously reduced the rate of tax on sale of unlisted securities (held for more than 24 months) to 10 per cent to ensure that foreign investors were not burdened with a high tax liability. An exemption was, however, provided in respect of transactions undertaken on the stock exchange for long-term capital gains (LTCG) and the transactions are only subject to a nominal STT. This was to encourage portfolio investors to access the Indian securities market. With significant movement of stock prices, the government has realised that it has brought a significant opportunity to bring a wider set of investors into the tax net. Therefore, with effect from 1 April 2018, the existing exemption on LTCG arising out of sale of listed equity shares of an Indian company on a stock exchange is withdrawn and a new provision is introduced to levy a 10 per cent tax on LTCG arising from the transfer listed equity shares, units of an equity-oriented mutual fund, or units of a business trust. However, gains accrued until 31 January 2018 are grandfathered. 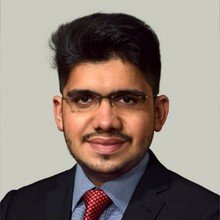 As a part of India's commitment to the OECD's BEPS initiative, the scope of the definition of 'business connection' has been expanded to harmonise it with the changes to the tax treaties due to the MLI and include situations where a person plays a principal role in the conclusion of contracts in India. Further, in the market of job-seekers, India needed job-creators and start-ups appeared to be ray of hope. With the intention to promote these job-creators and to facilitate their growth in the initial phase of business, a deduction of 100 per cent of the profits of the start-up engaged in innovation, development, deployment or improvement of products or processes or services or a scalable business model with a high potential for employment generation or wealth creation would be available for a period of three consecutive years out of seven years, starting from the year the start-up was incorporated. While in recent times the Indian economy has been facing challenges such as the depreciating rupee, increasing current account deficit, rising inflation and so on, the government has attempted a set of reforms. India's endeavour is to become one of the most attractive investment destinations in the world, and it understands very well that the need of the hour is to simplify its tax regime and reduce corporate tax rates in the country. 1 Bijal Ajinkya is a partner and Nilanshu Pandya is an associate at Khaitan & Co. The authors would like to thank Surajkumar Shetty, Raghav Kumar Bajaj and Ishani Kundu for their contributions to the chapter. 2 Section 6(3) of the (Indian) Income-tax Act 1961. 3 The Guidelines define a company to be engaged in 'active business outside India' if: (1) the company's passive income is not more than 50 per cent of its total income; (2) less than 50 per cent of its total assets are situated in India; (3) less than 50 per cent of total number of employees are situated in India or are resident in India; and (4) the payroll expenses incurred on such employees is less than 50 per cent of its total payroll expenditure. The Guidelines define 'passive income' of a company shall be the aggregate of: (1) income from the transactions where both the purchase and sale of goods is from or to its associated enterprises; and (2) income by way of royalty, dividend, capital gains, interest or rental income. 4 STT is payable on certain on-market transactions (sale and purchase) ranging from 0.001 per cent to 0.2 per cent on the value of the transaction. 5 Transfer pricing regulations are included in the Income Tax Act 1961 itself as Chapter X (comprising Sections 92–94B), and the rules framed thereunder (i.e., Rules 10A–10THD of the Income-tax Rules, 1962). 6 Further, two or more enterprises would be deemed to be AEs under specific circumstances by virtue of shareholding, borrowing, guarantees, licensing of trademarks, purchase, sales or where enterprises have any relationship of 'mutual interest' as may be prescribed by the government.